Sally Hazelet Drummond is believed to be the first female graduate of the Hite Art Institute with a masters in painting in 1952. It was during her study at the University of Louisville that she further explored Abstract Expressionism, a style that started only a decade earlier in the 1940s. In 1953 Drummond, a second-generation abstract expressionist, joined the epicenter of the movement as a member of the Tanager Gallery, one of the leading Tenth Street artists co-ops. In the midst of figures such as De Kooning, Reinhardt and Rothko, Drummond refined her style into the dotted starburst patterns that she continued to develop over the course of her life. While Drummond has been described in several genres, ranging from neo-pointillism to op-art, her work and the exhibition itself is firmly rooted in abstract expressionism. Drummond herself described the movement as a kind of iconoclastic fervor. While history has remembered Abstract Expressionism as being a definitive style characterized largely by wall sized canvases swabbed with gestural marks of the artists, contemporary writers provide a much larger perspective that typifies the avant-gardism of the movement. Drummond's artistic career from her Tanager days to date has been a deepening study into her understanding of abstract expressionist practice. However, as the oeuvre of her work has demonstrated, her explorations into abstraction proffer a different albeit not unfounded view of the art movement. Drummond's views on spirituality and community serve as a foil to much of the machismo and individualist psychology of the abstract expressionist artists. Additionally, Drummond's use of easel scale, unrestrained use of color and deliberate art making process offer a reframing of the accepted tenants of abstract expressionism. Drummond's art and her journey into abstraction is also deserving of the self-same description, an iconoclastic fervor. Hillary Sullivan was born in Louisville, Kentucky. She received her undergraduate degree from Utah State University in 2012 and completed her master's in Critical and Curatorial Studies from the University of Louisville in 2015. She currently works as an independent museum consultant. Lois Dodd was born in Montclair, New Jersey in 1927. From 1945-1948 she attended The Cooper Union in New York. 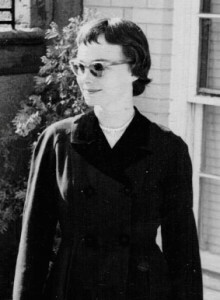 In 1952 she was one of five artists to establish the Tanager Gallery, where she exhibited until 1962. 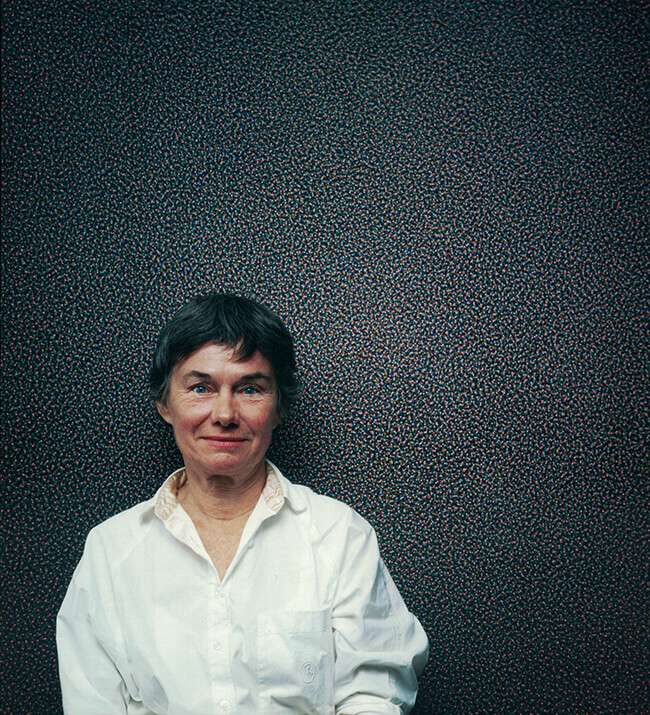 From 1971 to 1992, Dodd taught at Brooklyn College, and has, since 1980, served on the Board of Governors of the Skowhegan School of Painting and Sculpture. She is an elected member of the American Academy and Institute of Arts and Letters and National Academy of Design. Sally Hazelet Drummond was born in 1924 in Evanston, Illinois and now lives outside New York City. Her work is in the collections of the Museum of Modern Art, the Hirshorn Museum, the Whitney Museum and the Metropolitan Museum, among others. She was along-time member of the Tanager Gallery. She has received a Fulbright Grant and a Guggenheim fellowship. In 1972, the Corcoran presented a retrospective exhibition of her work curated by Gene Baro. Sally Hazelet Drummond of Germantown, NY [Louisville, KY], died April 9, 2017 after a brief illness. She was 92 years old, born June 4, 1924 in Chicago, Illinois.